Please join Project Directors Anaïs Fléchet (Université de Versailles Saint-Quentin-en-Yvelines, France) and Gabriela Pellegrino Soares (University of São Paulo, Brazil) as well as US Group Leaders Michael J. Kramer (Northwestern University) and Richard Candida Smith (University of California, Berkeley) for a brief introduction to this new digital history/humanities project followed by an opportunity to discuss the project. Faculty and students in all fields welcome. Food and drink provided. What is Transcultur@? An international collaborative research project led by a Franco-Brazilian team of scholars in the humanities, social sciences, arts, and literature. 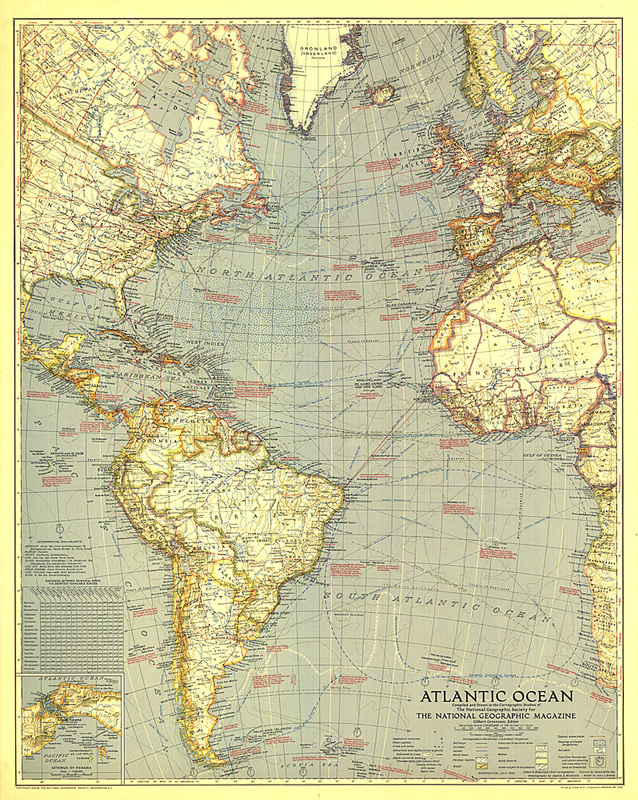 Its purpose is to produce a “Dictionary” of Transatlantic Cultural History: an online exploration, edited in four languages (English, French, Spanish, and Portuguese), whose aim is to analyze the cultural dynamics of the Atlantic Area and its central role in the modern processes of globalization. Questions? 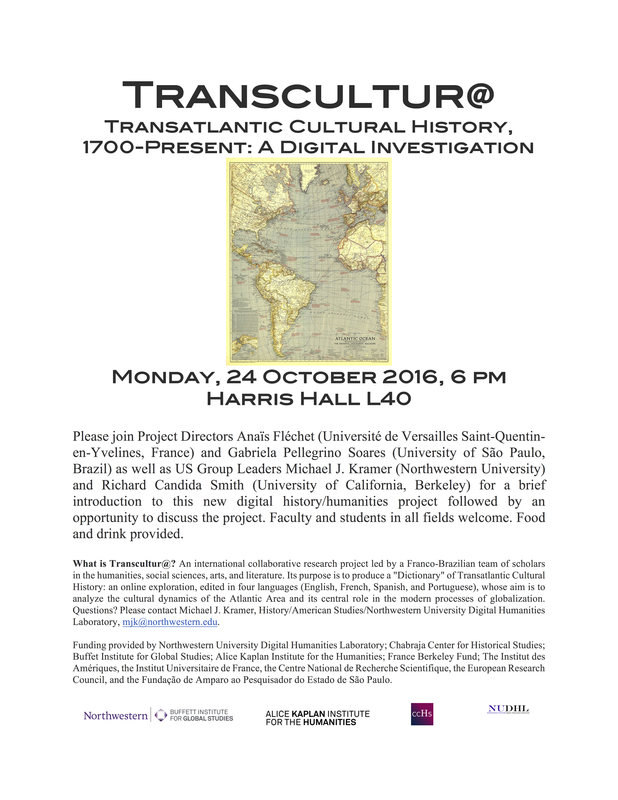 Please contact Michael J. Kramer, History/American Studies/Northwestern University Digital Humanities Laboratory, mjk@northwestern.edu. Funding provided by Northwestern University Digital Humanities Laboratory; Chabraja Center for Historical Studies; Buffet Institute for Global Studies; Alice Kaplan Institute for the Humanities; France Berkeley Fund; The Institut des Amériques, the Institut Universitaire de France, the Centre National de Recherche Scientifique, the European Research Council, and the Fundação de Amparo ao Pesquisador do Estado de São Paulo.